The three years of research, engineering and development from July, 1951 through July of 1954 had finally resulted in an installation of the first ElectroData computer at Cal Tech. With CEC's close management ties to Cal Tech, the first sale had been easy. Sibyl Rock's ties to CEC customers with scientific computational needs and the successful presentation of the CEC machine at various computer conferences would yield several more quick sales. But selling systems into the rapidly evolving business computing market would take new skills. To head a new sales organization, ElectroData looked to the world's best business machine sales force - IBM. They recruited Edwin S. McCollister who, after a thirteen-year career with that company, had recently been named director of advertising and publicity of the data processing division of IBM. He may have come to ElectroData's attention due to an article that he wrote for the Financial Analysts Journal in 1952 noting several revolutions stirring in the office. President James Bradburn announced McCollister's move to ElectroData on December 15, 1954. McCollister was an impressive six-foot man with an athletic build, a baritone voice and a fondness for cigars. Author Fred Withington has described McCollister as "one of the most charismatic salesmen the industry has seen." One of his great loves was opera. While he was based in New York with IBM, he sang major roles with the newly formed Amato Opera Company. Within ElectroData he was once only half-jokingly referred to as "Half computer-engineer, half punched-card salesman and half opera singer." McCollister began life as a native Iowan. He spent his youth on his father's farm in Pleasant Valley Township in western Iowa about seventy miles northwest of Des Moines. He was the oldest of three brothers. He graduated from the University of Iowa where he competed on the track team. He spent two years with Johnson Service Co. in New York City before joining IBM in 1941 as a sales representative in Providence, R.I. He worked his way up the marketing chain in a number of line and staff positions before being named Advertising and Information Manager for electronic accounting and data-processing machines on May 17 of 1954. The New York Times featured his photo under the headline "To Direct Advertising of Electronic Brains.'" McCollister wasted no time before going to work for his new employer. Although he didn't officially come on board until the 1st of January, on December 13th of 1954 he was meeting with L. P. Robinson and Bob Feland in New York City following the Eastern Computer Conference held in Philadelphia. McCollister reviewed the machine and current engineering development plans. Asked for his input, he insisted that both the Floating Point unit and buffered card input-output be considered mandatory and urgent. Working at Poughkeepsie, McCollister was well aware that planners at IBM had begun looking at a new machine that would unify their commercial and scientific machine architectures. The proposed new system was defined in a series of thirty-eight memos and with a project name of Datatron. The project would soon be shelved. Unification of IBM architectures would not take place for another ten years with the announcement of the System 360 in 1964. With the addition of the floating point unit, ElectroData was producing a Datatron of their own. The "Datatron" name for the computer was registered to ElectroData for use in interstate commerce by the end of December and by April of 1955, McCollister was driving the specifications for the new deluxe buffered card input-output system. In June, McCollister authored two memos to "All Sales Engineers" describing the newly christened "CARDATRON" and he described the comparative advantages of the CARDATRON over the IBM 650 card capabilities. IBM's first 650 had been installed in December of 1954. The battle was joined and McCollister would now meet IBM head-on. In February of 1955, a customer clinic was held with six of the first sites represented. Customers were generally pleased with their Datatrons. Hired as Sales Director, McCollister was named ElectroData's Vice-President of Sales on May 12, 1956, shortly before the acquisition by Burroughs. He resumed the title of Sales Director a short time later when ElectroData became a division of Burroughs. After the acquisition by Burroughs, McCollister began building his field sales organization. A flurry of press releases in October and November of 1956 announced four Regions with ten District Sales Offices. Samuel L. Greene New York District Manager Nov. 20, 1956 Sales Representative, Remington Rand, Washington, D. C.
Evan T. Barrington Boston Oct. 30, 1956 Burroughs, Computer Sales Rep. The sales organization continued to grow. 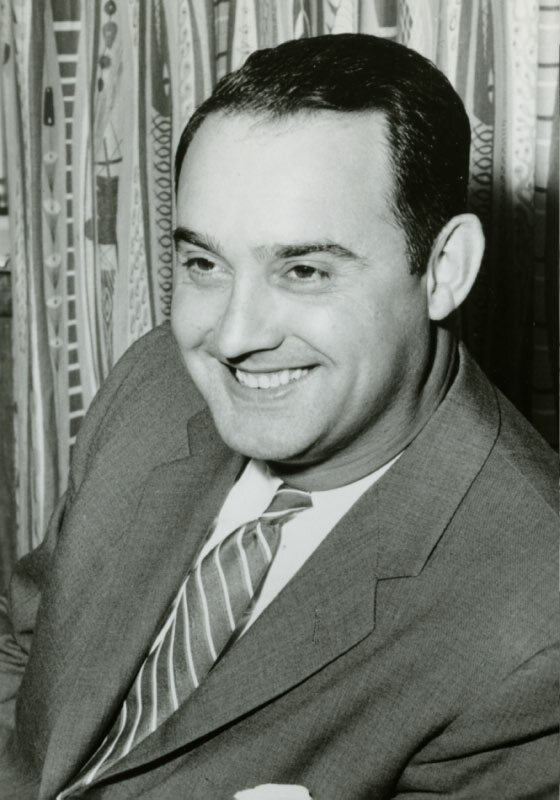 By August of 1957, an annoucement appointing Alan Reade manager of the Cleveland District Office noted, "The new district office joins 22 other ElectroData sales offices in the U.S. and Canada." McCollister expected corporate loyalty, a characteristic no doubt brought along from his IBM background. Richard Waychoff wrote in 1979 of an employee who was fired on the spot one day by McCollister when he read of a decision that Burroughs' Detroit headquarters had made that was posted on the bulletin board outside of McCollister's Pasadena office. The employee found the decision particularly objectionable and said "What we need around here is a good corporate airplane crash". The company was not as loyal to McCollister. When a major reorganization was announced by new Burroughs president, Ray Eppert, on February 4, 1960, all manufacturing and engineering was consolidated under ElectroData's Jim Bradburn. Sales and marketing was also consolidated but under Burroughs executive, Ken Bement. A few days later McCollister was named assistant vice president and general manage of the Data Processing Systems Group but he was clearly disappointed at not getting the top job. By August of 1960 he was on board at Univac where he soon was named Director of Marketing. We didn't want to be saying "Our is just like theirs, only it is cheaper." We wanted to be able to say: "You don't have to pay any more for ours, but it is a lot better and here's why." I'll leave discussion of the wisdom of meeting IBM head-on again for another time and place. Suffice it to say that in 1972 McCollister had come full circle on his tour of the computer industry and was back in Detroit as Director of Market Development for the International Group of Burroughs Corporation. That job led him to Moscow in October, 1975 where he was negotiating the purchase of Burroughs computers with the Soviet government. Burroughs had sold about $5 million dollars worth of computers to the Soviet Union by that time. Having worked in sales and been involved in pricing decisions at IBM, ElectroData, Burroughs, Univac and RCA in four different decades, McCollister had a unique perspective on pricing in the computer industry. McCollister covered a wide range of topics in a two hundred page deposition taken in 1976 when he was called upon to testify in the trial of California Computer Products, Inc. and Century Data Systems, Inc. vs. International Business Machines Corporation. David Boies, (Yes, Al Gore's attorney in Bush v. Gore, 2000!) representing IBM, utilized part of McCollister's testimony to counter CalComp's claim of unfair pricing by IBM. The attorney discussions out of earshot of the jurors are fascinating. As usual, the location of this testimony is in the remarkable collection of the Charles Babbage Institute on the University of Minnesota campus.